Guy suggests self publishing should be called artisinal publishing. 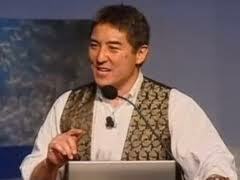 In a previous post, I made note of a key-note address given by Guy Kawasaki at the San Francisco Writers Conference which I thought was quite good. Based on the traffic and comments on that post, I think many of you found his simple and clear insights helpful. So I thought I would share three more that I thought were important to remember and share the term he used to describe the new era of publishing. Hire a copy editor–I know you have probably heard this comment over and over again, but I don’t think it can be emphasized enough. Too many self published authors think they are one draft wonders. I did not have the exact stats, but Guy shared a personal example where he had gone over the manuscripts numerous times and then submitted to the editor and was shocked at the number of corrections needed. It’s not because he wasn’t a good writer. It just simply illustrates how important it is to have another qualified set of eyes on your work. Hire a cover designer–One of the scariest phrases I hear from authors is, “my daughter is an artist”. She may be, but that doesn’t mean she knows how to create the right cover for your book. I have other posts on this blog that talk about cover design. One of them is Six Tips from Wicked Good Book Cover Designers. Lots of good info there are how to determine what you need a cover designer to do. Never give up–Again, if you have read this blog, this is not a new statement. In fact one of the secrets of successful self published authors is believing in their work. It was just reassuring to hear Guy say it as well. Finally, Guy suggested that there is a new term needed to describe the way self-publishing has evolved. He compared it to craft brewers or bakers. He said authors now need to think of their work as artisanal publishing. In other words, self publishing is no longer to be thought of as less value, but rather as an important craft. Not everyone agrees with his take, but I think it is further evidence that self publishing has fully arrived. He gave three books as examples of Birds of America by Audubon, Leaves of Grass by Walt Whitman and Fifty Shades of Grey by E.L. James. Quite a diverse list, but each was first self-published and went on to be a big seller and classic. What do you think? Do we need a new term to describe self-publishing? Do you agree with Guy’s suggestion? Use the comment section to let me know what you think. → A interview with author Leda Sanford about her book Pure Moxie. I don’t particularly like the term self published, because I think it has a poor reputation. I like artisanal publishing, but I like the term indie as well. To me, it implies more of a rebellion (against traditional publishing and its gatekeepers) and I like that. Even though a few people have succeeded wildly using self-pubbing, taking the term in my mouth still leaves an unpleasant after-taste. It’s almost heresy nowadays to say this but I do wish I’d been able to get a deal,. Trying to sell books one by one with no support is not my favorite pastime. Honestly, I’d rather be writing. I can agree wholeheartedly with byjhmae (above) that the term “indie” feels better, feels like it was a choice rather than a default. But correct labeling alone does not create bestsellers. Thanks for passing on the information to your readers.